Our Live Your Style campaign, in partnership with CB2, celebrates personal style, both in your wardrobe and your home. Each season, we’ll be exploring how trends in fashion and interior design inspire each other, and help people live more stylishly. 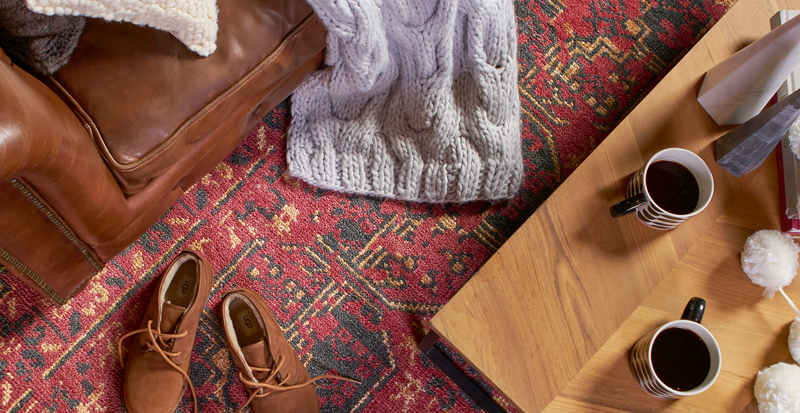 With the holidays in full swing, we’re preparing our closets and our homes to reflect the season in our favorite ways. This time of year, it’s all about fabrics that shine, textures that add warmth, and colors that evoke sophistication. We’ve styled three looks to reflect the best winter trends in fashion and design, so you can surround yourself in whatever makes you feel your best. Have you ever looked at a pillow or a sweater and felt compelled to touch it? This winter trend is all about texture. Statement pieces in velvet, corduroy, mohair, and faux fur are a great opportunity for a pop of plushness. Throw pillows and blankets are a simple way to add texture to an otherwise streamlined room, just as a chunky knit sweater or faux fur stole can do for your outfit. And if you’re feeling exceptionally committed to the trend, a pant or dress constructed entirely of corduroy or velvet is an inspiration. This look is for those who never shy away from a little shine. Metallics in gold, silver, bronze, copper, and rose gold mimic the glint from holiday lights and glamorous jewelry. They pair best with neutrals when you want your sparkle to take center stage, or with deep jewel tones when your vibe is all about elegance. 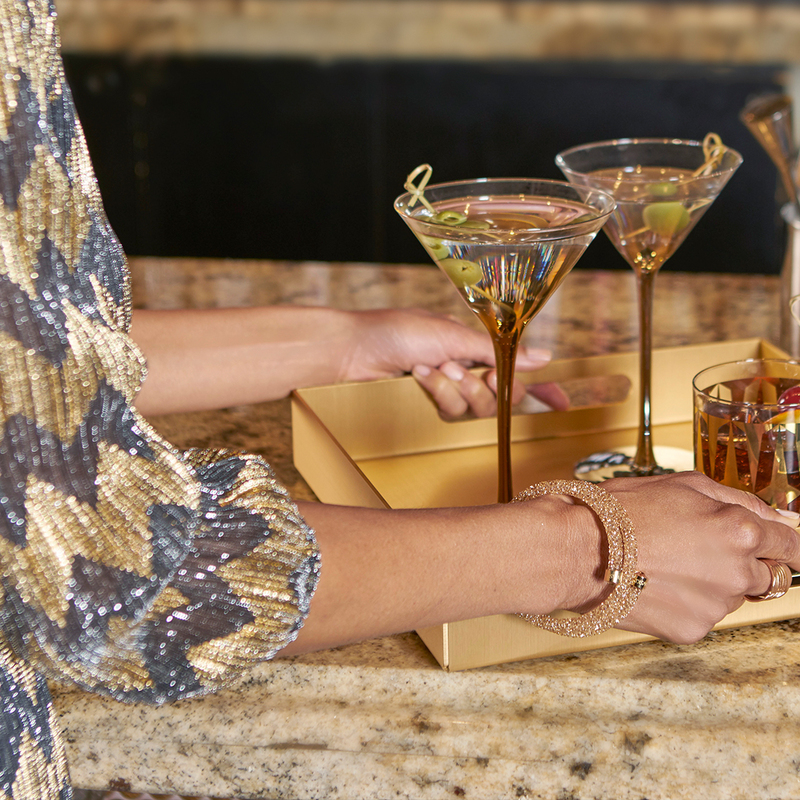 Often highlighted in accessories, metallics are easily incorporated with accent pieces like bangles, clutches, glassware, and barware. When you find a color you love, go all in. For guys, that’s pretty easy to do when you throw on a suit. But take the effect to the next level by wearing it with a shirt and pocket square or tie in a different tone of the suit color. And for women, try matching separates in a fashion-forward statement color or an icy, sophisticated winter neutral. When bringing singular color themes into the home, think holiday décor. Greens, silvers, and whites are traditional (but no one says you have to play by the rules).